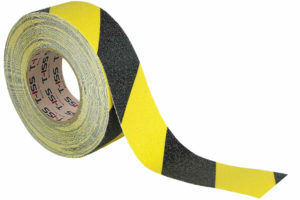 At T-ISS we offer a wide selection of varying safety- and protection tapes. As you may have noticed, we offer several tapes that all have a different, unique purpose. These tapes are all designed to prevent, product, mark, or stick to objects. In this article we would like to explain the properties and differences between all the SOLAS Tapes we offer at T-ISS, and show you which tapes to use in certain cases. The first product in our range of anti-corrosion tapes is our T-ISS CorStop tape, which is available in the sizes 25 mm, 50 mm and 100 mm. 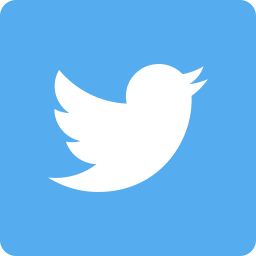 The product works as follows; when two different types of metals, for example tubing systems, are attached to each other, it is very likely rust will arise between the two. 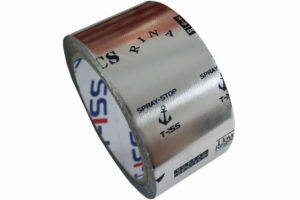 By applying T-ISS CorStop tape, the tape will have a sacrificing role in the oxidation process. 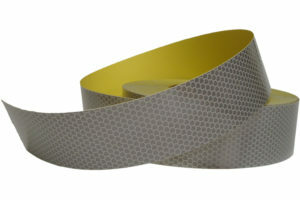 Instead of the two metals that are attached to each other, the CorStop tape will oxidize and so protect the two metals. The same principle is put into practice on vessels; anodes are placed on the ship’s hull. These anodes will rust instead of the hull which results in a hull that’s rust-free for a longer period of time. 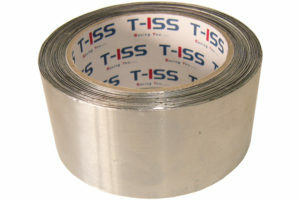 When should I use T-ISS CorStop tape? 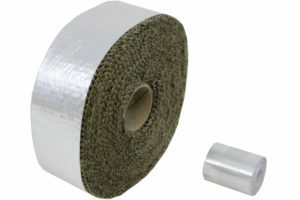 T-ISS RustStop tape consists of three main items, the base being a specially designed bandage. During the production process this bandage is processed with two more items; a high-quality rust-resistant mixture between oil and grease. Combining all these items results in RustStop tape. Tubing systems or other structures that are sensitive to rust can simply be wrapped with RustStop tape. Due to the oil and grease mixture in the tape the oxidation process won’t have a chance to start, which means the tubing or structure in question will be protected. When should I use RustStop tape? T-ISS SprayStop is one of our best known products, and for a reason; SprayStop is the best, most certified anti-splashing tape on the market. SprayStop is a high-tech laminated multilayer aluminum tape that is designed to prevent dangerous spray-outs in tubing systems. Like you can imagine, spray-outs in engine rooms for example, can be highly dangerous. According to the SOLAS regulations, appropriate protection needs to be installed on these tubing systems. SprayStop meets these regulations which gives you a quick and safe solution that many people and organizations around the globe use and appreciate. When should I use SprayStop tape? 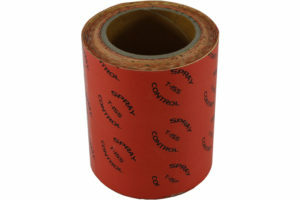 SprayControl tape is very similar to SprayStop tape but differs in several points. First of all, the product is mainly used to protect chemical installations against spray-outs. SprayControl is a product that allows you to upgrade your safety situation according to pipeline systems on chemical plants. 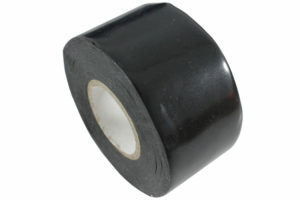 The tape prevents damages towards people, machinery and other pipes present in the area. SprayControl can protect chemical tubing systems that have a temperature between -30 °C and 75 °C, and will handle pressure up to 35 bar. When should I use SprayControl? In case of unforeseen or spontaneous leakages on board of a vessel happen, it’s clever to have a product that solves these problems in a quick, solving way. 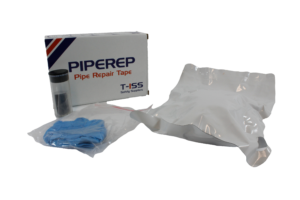 T-ISS PipeRepair is a compact package that contains all necessary items to repair said leakages in an instant. The kit contains a repair tape, a putty, a set of protective gloves, a piece of sandpaper and an instruction manual. The versatility of this product excels in the fact that it’s applicable under water, has a quick setting time, and only needs water to activate. In short; PipeRepair is a safe, compact and cost-effective solution for unforeseen leakages on-board. When should I use PipeRepair tape? If you’re looking for a product that insulated heat; look no further. T-ISS HeatStop protects surfaces and lowers temperatures in a highly effective way. For example; a 180 °C tube will decrease to a temperature of 60 °C when HeatStop is applied. This is an extraordinary performance compared to competitive fiber tapes that will only cool down to a temperature of 95 °C. Also worth mentioning; HeatStop is produced using materials that are environmentally friendly for 100%. 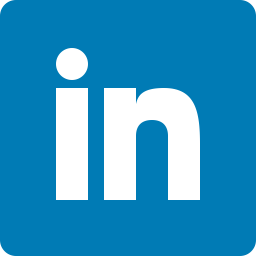 that replace hazardous glass and / or ceramic fibers that can be dangerous to your health. When should I use HeatStop tape? DripStop is a very versatile product that can be used for various applications; an all-rounder. It’s a very compact product that doesn’t require any additional tools or products to use. The product itself can be installed without creating a mess; the product sticks to itself. So, it’s easy to install and a versatile product. But what does it do? That’s where DripStop tape excels; the product does several things. It will protect installations from leaks and splashing, will seal tubing that contains air or powders, but is also able to protect objects from corrosion or exposure to salts, water or weather conditions. It can be used to protect and insulate cables and will be a great help when it comes down to daily, versatile maintenance jobs. When should I use DripStop tape? T-ISS Retro Reflective tape, otherwise known as SolaxFlex tape, is a reflecting tape that uses an encapsulated lens sheeting. The lens ensures that the product is highly reflective over a wide range of entrance angles, whether dry or wet. This sheeting has a flexible and highly transparent film. Combined, these components result in an extremely bright reflection; one of the highest intensities available on the market. The product is praised for it’s long durability, high brightness and anti-delamination. When should I use Retro Reflective tape? 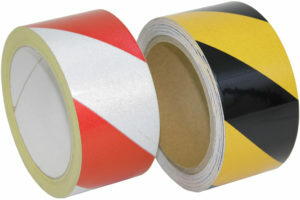 The most striking product in our range of marking tapes is Reflective Zebra tape. This product is highly effective when it comes down to providing safety and protection. When compared to a white wall, this product is 200 (!) times more reflective. Combined with a red and white or black and yellow pattern, it’s an outstanding and notable product. Therefore, it is an ideal product to prevent hazardous situations and accidents. 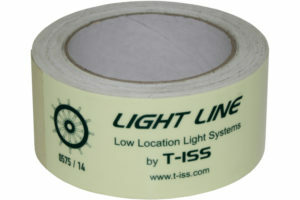 When you are looking for a photoluminescent version of this tape, please look at our range of LightLine tapes. When should I use Reflective Zebra tape? Mainly used as a product to stand out and prevent slipping, SlipStop is an ideal product in environments like staircases, walkways and areas that need to be marked. SlipStop can be used both in- and outdoors to prevent accidents and protect people against slippery surfaces. A simple product, but with extraordinary quality and durability. When should I use SlipStop tape? 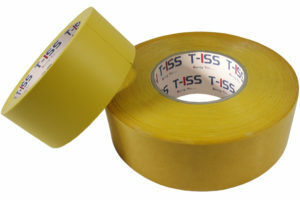 Ideal for warehouses and factory floors; T-ISS Floor tape. 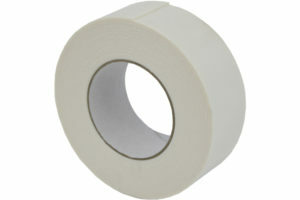 This high-quality marking tape allows you to mark certain area’s on your floor. For example; when you would like to mark an area where goods need to be unloaded, Floor tape would be the ideal solution. The product has an extremely good durability which means you can drive it over with forklifts, pump trucks and hand trucks no problem. The tape will hold up and areas will remain highlighted. When should I use Floor tape? Our range of LightLine tape consists of various photoluminescent tapes that are a great, proven method to indicate escape routes. All LightLine tapes comply with the IMO and SOLAS regulations, and have a Lloyd’s Register approval. 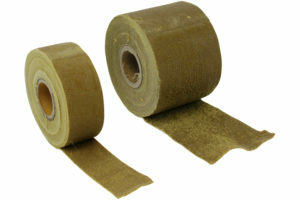 LightLine tape is offered in various reflecting qualities. Also, red, green and black striped versions are available. At last, we offer stickers that can be fixed to the tape which allows you to indicate staircases, escape routes, assembly stations and exits. When should I use LightLine tape? Foam tape is a no-nonsense product; it’s an adhesive tape. But not just that; Foam tape is one of the strongest and sturdiest adhesive tapes on the market. It holds up to 1.8 kg / 25 mm which makes it an ideal product to permanently fix objects to a surface. Foam tape has a great chemical resistance which allows the tape to set in harsh weather and / or outdoor conditions. The product has a protective layer which means you can fix Foam tape to an object, and stick it on a surface later. When should I use Foam tape? It goes without saying what the purpose of HatchCover is; the product covers up hatches on your vessel. Leakage on these hatches will lead to damaging your vessel or the cargo that’s being transported. HatchCover will keep moisture out and ensures a tight seal that’s weather-resistant. The product has an extraordinary strength, great adhesion and is very flexible. The blue color makes it easy to recognize which will prevent accidents from happening. 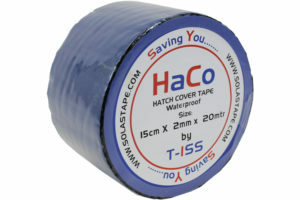 When should I use HatchCover tape?